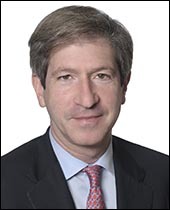 Baker Botts has enhanced its global International Arbitration practice by adding highly regarded arbitration lawyer Edward Schorr to its New York office. Schorr joined the firm as a partner. This enhancement of the arbitration practice in New York broadens the firm’s ability to provide clients access to skilled arbitration counsel in jurisdictions around the world. The firm’s arbitration practice has consistently earned high marks from ranking publications such as Chambers, Legal 500 and Who’s Who Legal. Schorr has more than 25 years of international litigation experience. Edward Schorr together with Andrew Behrman have developed a destination practice as go-to international lawyers. As first chair lawyers, they handle claims before U.S. courts and foreign tribunals in many sectors, including especially the energy and technology sectors, two of the firm’s core strengths. Schorr was a partner at Hogan Lovells prior to joining Baker Botts. He earned his law degree from Stanford Law School and his Bachelor of Arts degree from the University of Pennsylvania. Baker Botts is an international law firm of approximately 700 lawyers practicing throughout a network of 15 offices around the globe. Based on our experience and knowledge of our clients’ industries, we are recognized as a leading firm in the energy, technology and life sciences sectors. Throughout our 174-year history, we have provided creative and effective legal solutions for our clients while demonstrating an unrelenting commitment to excellence.